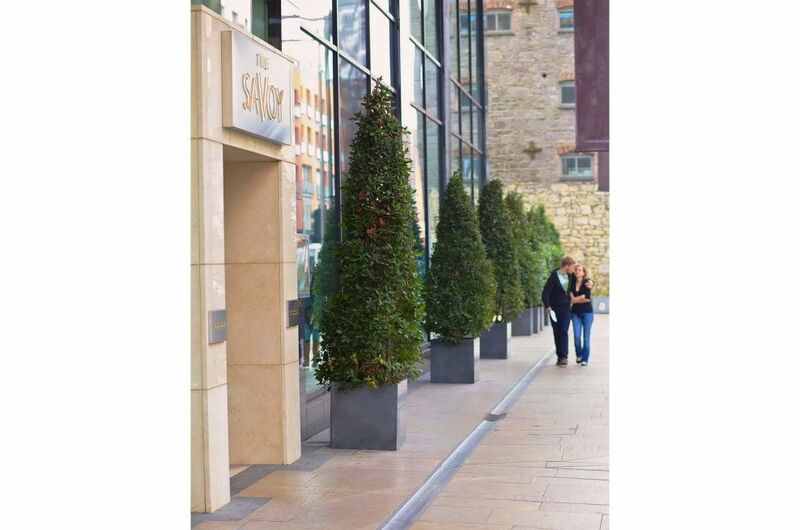 IOTA’s granite garden planters were selected for The Savoy Hotel Limerick in Eire. 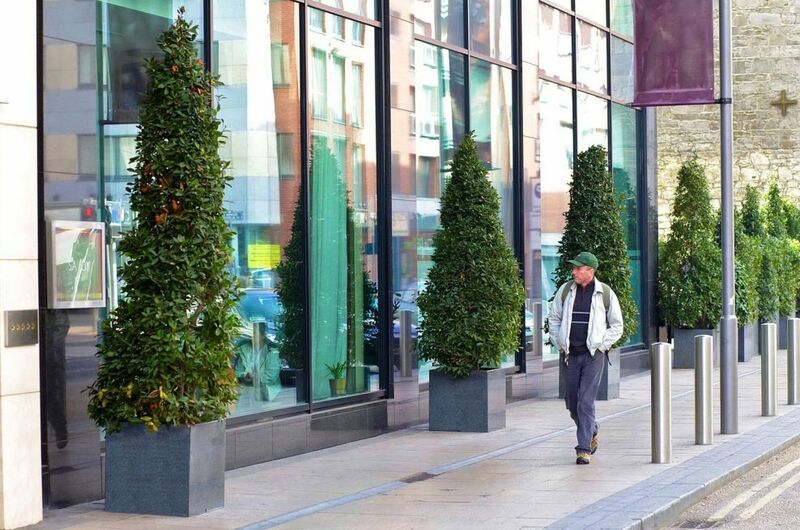 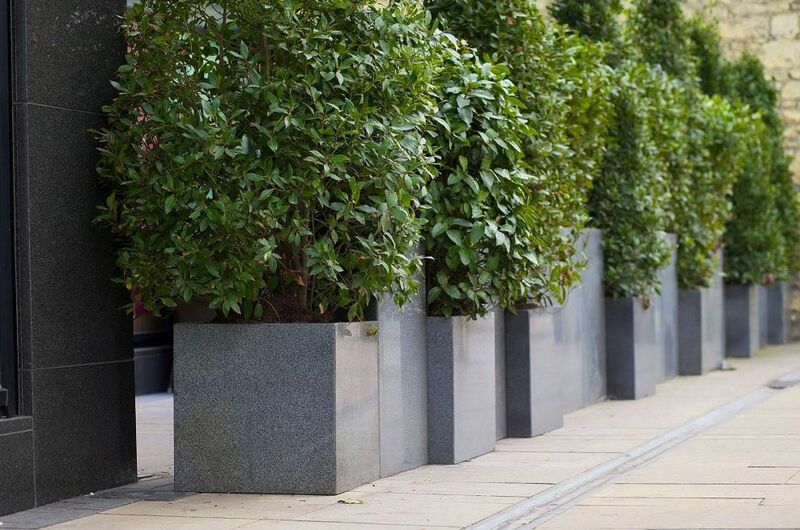 Architecturally planted with large Buxus topiary, Granite Cube 600 planters are ranked to create a strong visual definition to the hotel frontage and the main entrance. 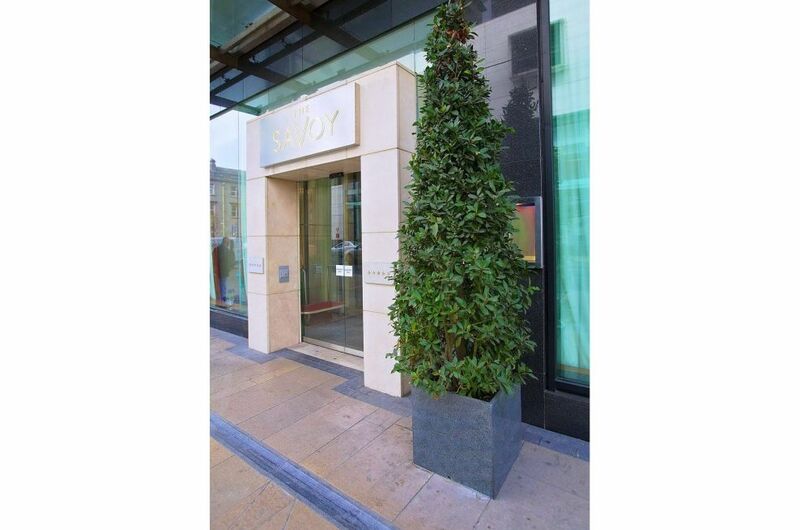 Additional Cube 600s are interspersed with 1000mm tall custom rectangular planters, to provide a protected area outside the Savoy Bar. 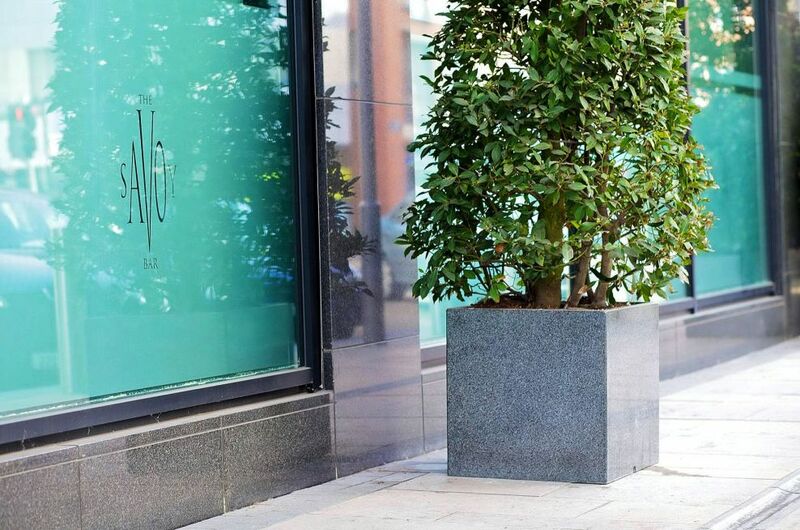 IOTA’s planters form part of a major refurbishment and rebranding of the hotel. 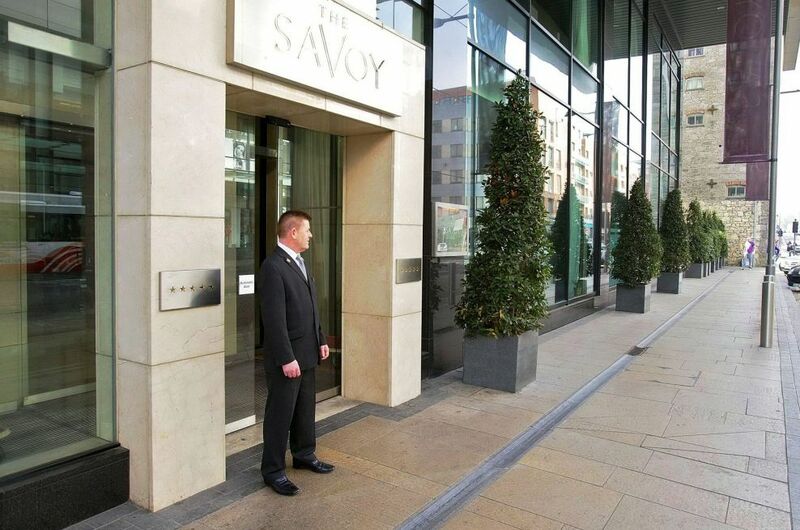 The Savoy Hotel Limerick, formerly the Marriott Hotel, is a 5 star, 94 guest room property located in the heart of Limerick city centre. 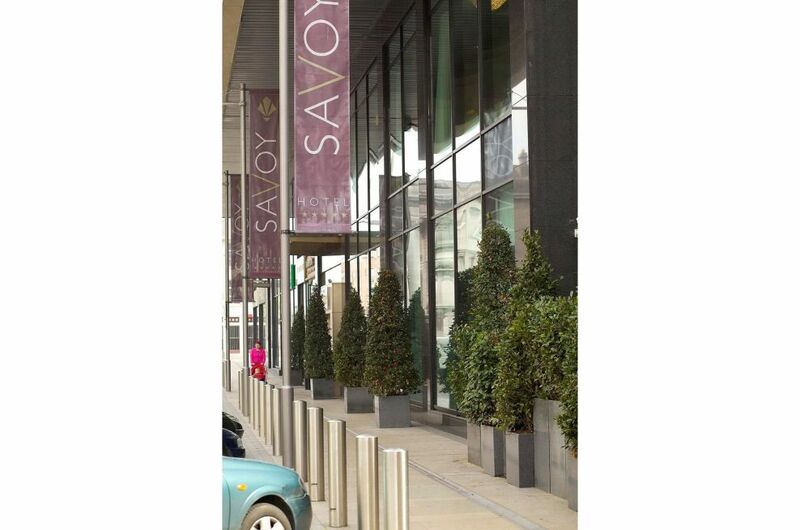 Facilities include a Business Centre, Aqua and Fitness Club, bar and two restaurants, and the hotel offers meeting room space to cater for up to 220 delegates.